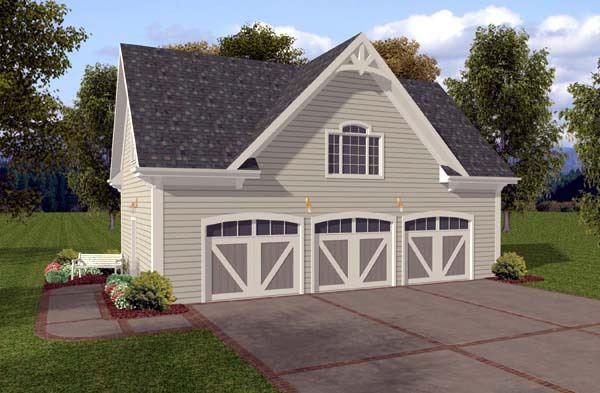 The Coventry Carriage House is a 3 car garage with 749 sq. ft. or storage space above. With siding exterior and eye-catching details, this design is reminiscent of a country barn. The upper level storage area could be a studio, a home office, a playroom or just a getaway. The possibilities are limitless!